PhotoAlbums+ is a great Cydia tweak which gives you the ability to create albums and organize photos from the native Photos app on the iPhone or iPod touch. It allows you to create new custom photo albums, move photos in and out of camera roll, and even allows you to create password protected photo albums. The app is neatly integrated into the stock Photos app, making it easy to use and it even syncs with your iTunes just fine after adding albums. Check out the video below for a demonstration. 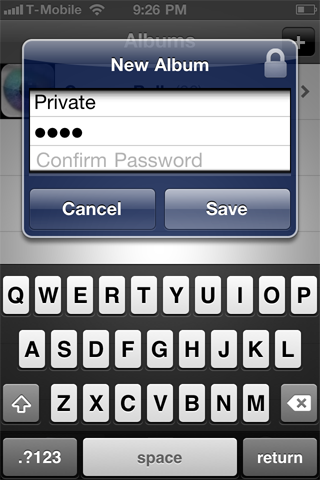 This is a great tweak that probably should have already been incorporated into iOS 4.x but lets hope it makes it into some future update. It supports iPhone and iPod touch on iOS 4.x only with support for iPad coming soon. 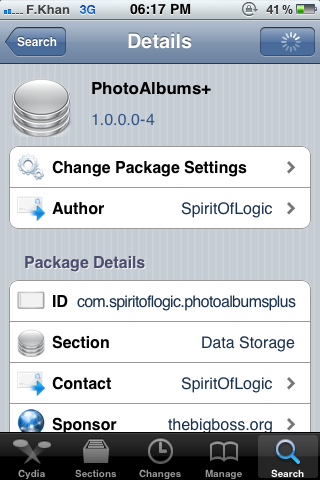 PhotoAlbums+ is available from Cydia under BigBoss repository for $2.99.